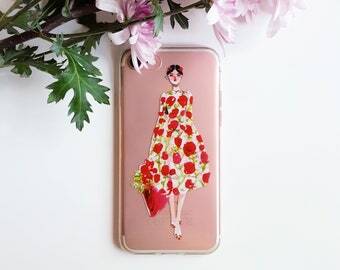 This cute phone case has a high quality print of one of my watercolor illustrations. "Tropical Flowers" is an illustration that I painted back in 2017, with watercolors. 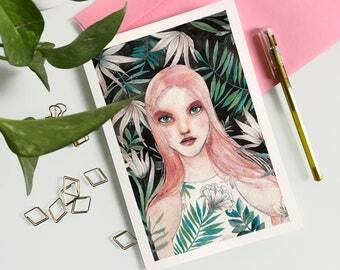 For this illustration I found inspiration on tropical plants and flowers. 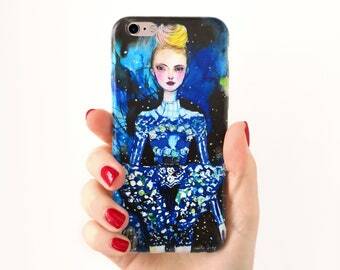 This phone case is available for many phone models (iPhone, Samsung, Huawei, Motorola, etc). If you would like to know how your phone would look with this case, send me a message with the model and color of your phone, and I will make a mock up for you. The phone case is made on TPU (termoplastic polyuretane), a flexible, smooth and long lasting material. 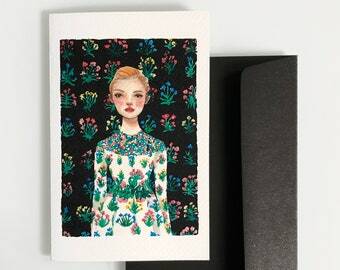 The illustration is printed in hight resolution, which allows to show all the small details of the watercolor illustration. The phone case comes inside a textile pouch, handmade by myself. 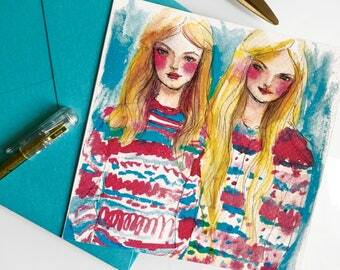 The fabric print was designed by me with watercolors and printed in Italy. I made it myself here on my studio in Milan, Italy. Front of the textile pouch is customized with a small label with my logo, in golden embroidered letters. Inside the pouch you will find a small card with a personal introduction and a description of the product. This phone case is available for many phone models. If you do not see your mobile phone listed, feel free to contact me so I can check its availability. This Phone Case is perfect for a gift because it has a lovely presentation. 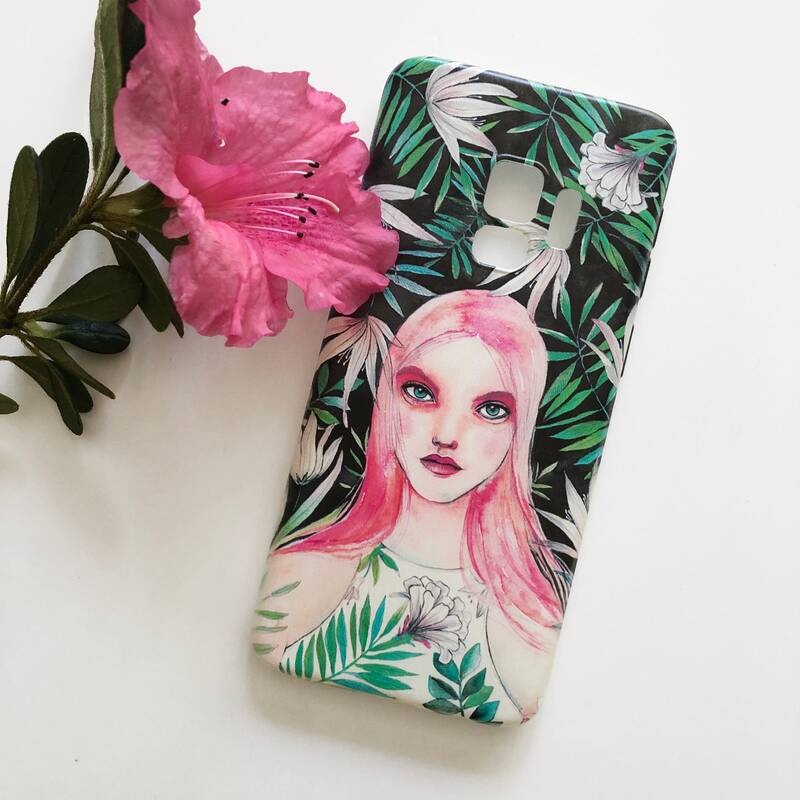 And if you are looking for something unique, you can even customize the phone case art by choosing any of my illustrations (please visit this link: https://www.etsy.com/listing/610695770/custom-phone-case). Shipping: I ship with Poste Italiane (Italy), standard shipping. This doesn't include a tracking number. To Europe it may take around 3-5 working days, and to the rest of the world, around 21 working days. If you would like a shipping upgrade please select the option Raccomandata on shipping methods. Raccomandata includes a tracking number that I will send you after I ship your Phone Case.